Welcome to Three Island Real Estate! We are so glad you looked up our web site and we promise, you won’t be sorry! 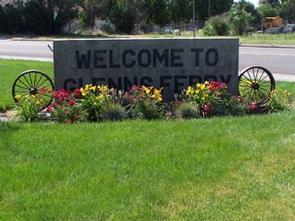 Come visit us and let us show you the historic and quaint town of Glenns Ferry! Located halfway between Boise and Twin Falls right off I-84, adjacent to the scenic Snake River, this picturesque town of approximately 1,300 people, boasts of many unique emenitites. Loaded with railroad and Oregon Trail history, Glenns Ferry also has small town flavor. Once a major railroad hub of the West; the town now enjoys a charming downtown with attractive streetlamps, trees, wagon wheel benches, a beautiful town clock, and an assortment of specialty shops. At Christmas time, the downtown area resembles a Normal Rockwell painting! Don’t be fooled by Glenns Ferry’s population; remember, big things can come in small packages! For a small town, there are many things to do here; and a variety of places to eat! Beautiful Crossings Winery, Restaurant & Golf Course graces our community with a touch of class. Three Island State Park is just down the road from the winery and is one of the prettiest, serene, and well-maintained parks in the state! The Three Island Crossing, which was the most notorious and dangerous river crossing the pioneers faced on their trek west, consists of three visible islands. The Oregon Trail History and Education Center is a special treat located inside the park, which commemorates the rich history here. Both park and center have a gorgeous view of the Snake River, which meanders by. Also in town, a treasure of an old theatre (built in 1914) wass 100 years old last year! Special events take place here as well as weekend dinner/ theatre all summer long-(Friday evening murder mystery and Saturday, melodrama.) An immaculate town swimming pool is located in our attractive city park. The Eddie Bostic Recreation (boat dock) Area invites fisherman, water-skiers, and jet skies to take advantage of the cool water in the summer heat. And if you are so inclined, an interesting old museum- (built in 1908 as a grade school), is situated in the middle of town. The museum provides nastalgia for many who attended school there in their youth; as well as a wealth of historical information and artifacts of the area. Last, but not least, Glenns Ferry even has it’s own airport! Glenns Ferry has some annual events the whole family can enjoy; and you shouldn’t miss! Fourth of July is a great “hometown” celebration complete with parade, activities and vendors in the park, softball and basketball tournaments, dances, ending with a wonderful fireworks display. The community hosts the Elmore County Fair, also in July; and features rodeos, 4-H displays, animal farm sales, food vendors, and carnival. Come partake of ‘Fall Fest’ in the autumn; a family event/fundraiser with good food, games for everyone. First weekend in December will find citizens enjoying a Christmas parade and lighting of the town Christmas tree. Afterward, of course, hot chocolate and cookies will be provided at the Historic Opera Theatre with Santa making an appearance! Glenns Ferry and surrounding areas provide many recreational opportunities. Hiking, camping, water skiing, fishing, hunting, swimming, golfing, the arts, white water rafting, cave exploration, off road dirt biking, snow skiing-even star gazing to name a few! And we are located only thirty minutes from beautiful and scenic Bennett Mountain where quakies and pine trees add to the landscape. Another half hour North, and you will reach Anderson Ranch Dam Resevior with plenty of camping opportunities in the Boise and Sawtooth National Forests. ones, however; and if you give us a try, you will find the folks in our community to be warm and friendly. 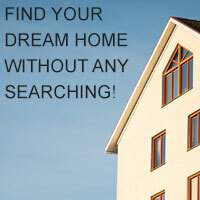 We are happy to meet new people moving into our area and want them to enjoy all we have to offer. But if you should decide to visit Glenns Ferry just to get away for a vacation or weekend-many fun things to see and do await you. Either way…we would love to have you!! !